GOOD HOUSEKEEPING – We all have our fair share of habits. Some bite their nails. Others cross their arms. 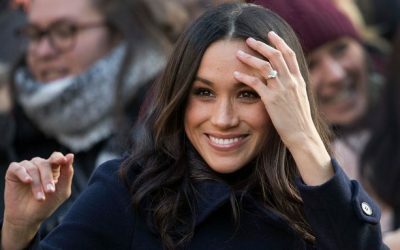 As for Meghan Markle, she touches her hair — constantly. Meghan — and the rest of the world — unknowingly perform these behaviors to provide comfort. Self-soothers, if you will. HARPER’S BAZAAR – During most of the interview, Meghan looks lovingly at her husband-to-be. While we can’t blame her, her steady eye contact kept our attention. But what does it mean?